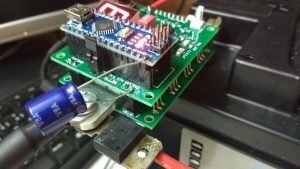 Addon to power the Spot Welder with the car battery ! 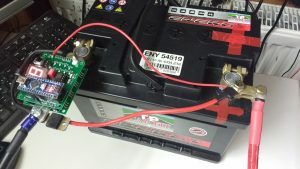 With the help of this very simple addon you can power the Spot Welder directly from the car battery instead of a 12V power supply. The only component that needs to be added is a 25V 470µF capacitor. This is enough to keep the voltage of the Arduino board up while the pulse is happening and the car battery drops in voltage. It works for pulse times up to about 50mS. 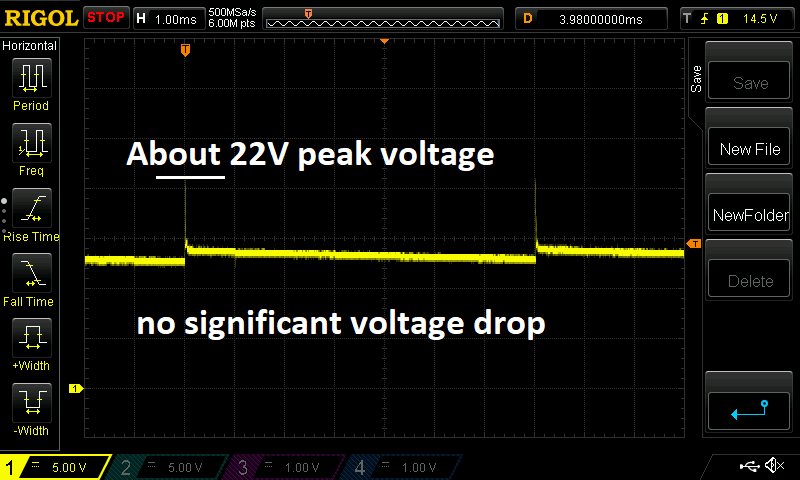 For longer pulse times it is still recommended to use a seperate power supply. I added the capacitor between the Arduinos Vin Pin and GND. Pay attention to the polarity of electrolytic capactors ! “-” goes to GND and “+” to Vin. Then you can connect a cable from the voltage input of the PCB to the car batterys positve terminal to start the Spot Welder. GND input is not needed since it is already connected to the car battery through the aluminum piece. The Arduino keeps operating even without the extra capacitor, but i would not recommend it. 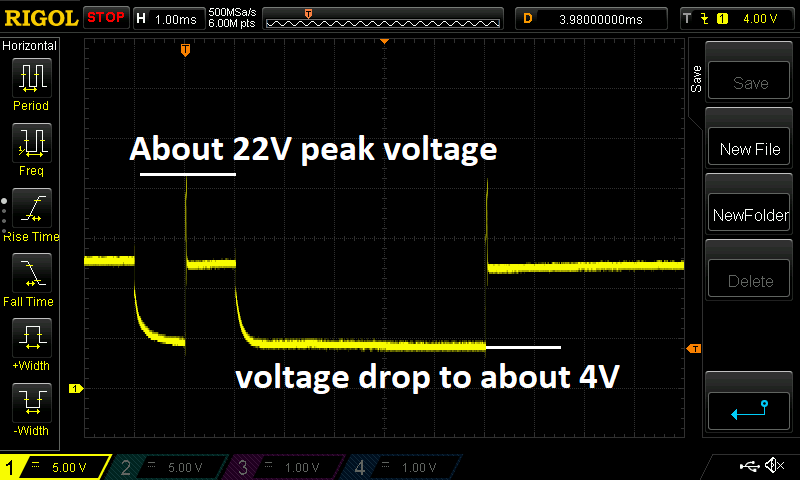 The 22V voltage spike is very short and no problem for the Arduino Nano and the other components to handle. 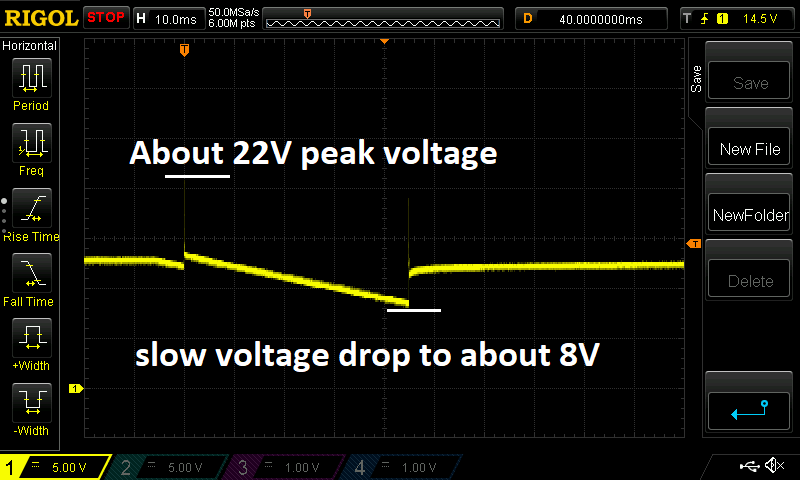 As you can see there is no significant voltage drop at this short pulse time.